GALLLERIAPIÙ presents “The Last Of The English Roses”, a solo-exhibition by Swiss born New York based Yves Scherer. Named after a Pete Doherty song released in 2009 the show features a series of new wall works and an artist book produced for the occasion. It’s the unveiling of the thin layer between public and private life moments which often characterises Scherer’s work and is continued in the pieces titled “Untitled (Kate)” here. 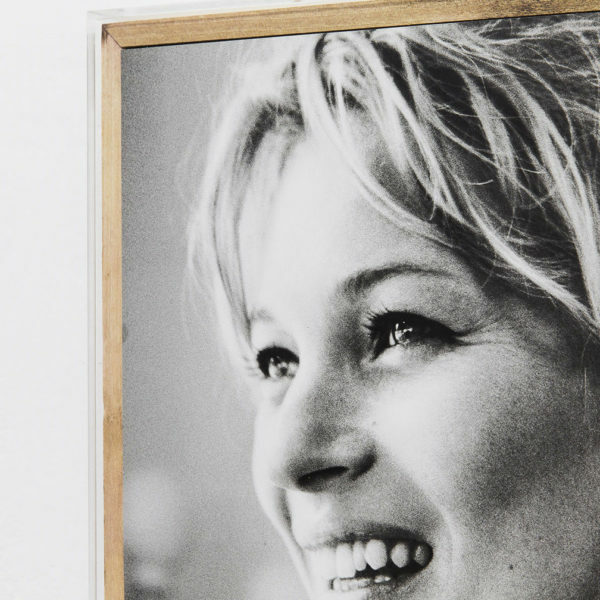 Different pages from one single photography book with images of Kate Moss taken by Mario Testino and published by Taschen are tightly framed in wood and plexiglass boxes. The heroin-chic icon of the 90’s and now a successful mother and business woman is shown mainly between shoots here – in intimate moments which have her hover between the girl from Croydon and the celebrity star that she was made into. Made possible through Testino’s role as both celebrity photographer and her close friend. While providing us with a window into joy and glamour of a celebrity’s private life, the show could be read in Guy Debord’ terms as well; as a critique of the society of spectacle, where the participants are so absorbed by virtual reality, social networks and Hollywood dramas that they have stopped paying attention to the concrete events in their own lives.